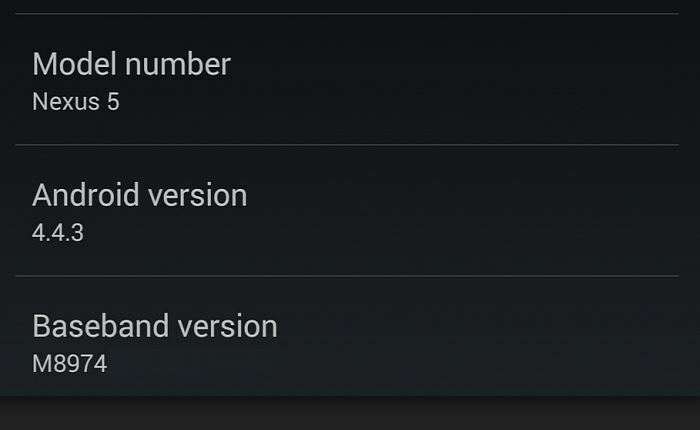 This is a good news for Nexus users as they will get an update to KitKat 4.4.3 from May 23 onward. The current Nexus smartphones will get this update with few new features and mostly bug fixes. Nexus 4 and Nexus 5 smartphones and tablets like Nexus 7 and Nexus 10 will get this update. The changelog has been leaked which gave a probable date of receiving the update sometime by next week. However as far as we got informed there’s no news on whether the Google Play Edition devices will receive the Android update or not. But we can normally expect that the update should come within few weeks. The report that leaked the news also claimed that Nexus 8 may come into existence within a while from now. But now while talking about the present update, Android 4.4.3 will enhance the support for a new version of Google TV. Modifications in connectivity of Bluetooth and other bug fixes will be witnessed.